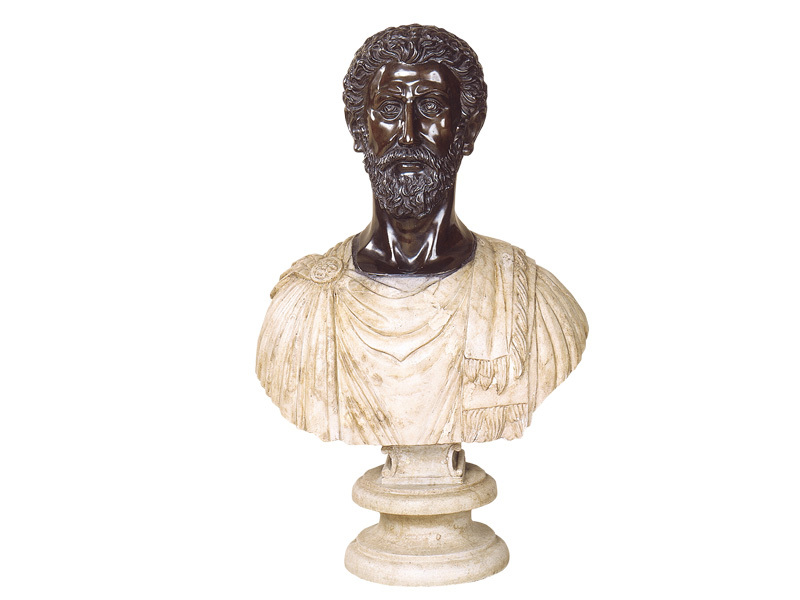 By the unity of cast bronze head on marble torso the Roman Emperor Bust depicts out the glory of its century up to date. It has been casted by Lost Wax technique and patinated in Florentine patina but you may contact us for antique yellow or natural green patina options. The marble torso is aged Carrara marble from Italy. Please contact us for unaged marble options.